Rural, low-income voters who helped propel President Trump to victory in 2016 are less likely to have health insurance than the urban poor in states that didn't expand Medicaid under the Affordable Care Act. A new study compared uninsured rates from 2008-2009 and 2015-2016 by the the Georgetown University Center for Children and Families and the University of North Carolina Rural Health Research Program. It examined insurance coverage in 46 states with significant rural populations and found a disparity between low-income adults living in rural areas and small towns versus those living in metropolitan areas. The ACA allowed states to expand their Medicaid programs to include people earning around $16,000 a year, which was previously too much to qualify for the social safety net but often too little to pay for health insurance out of their own pockets. Many states -- 34 plus the District of Columbia -- chose to expand their Medicaid programs, a move that was initially fully funded by the federal government. But many red states opted not to expand Medicaid, refusing the federal money. That dynamic, said researchers, created a growing health-coverage chasm between people in rural communities and those living in urban areas. Rural voters, as my colleague and chief Post correspondent Dan Balz wrote, "form the heart of Trump nation." Take Virginia, for instance, where there is the greatest coverage gap by geographic region among the non-expansion states, according to the new report. (It should be noted that Virginia recently decided to expand Medicaid). In Virginia's small towns and rural areas, the study found, 31 percent of adults below 138 percent of the poverty line were uninsured compared to 21 percent in metro areas. The Health 202 looked at county-by-county voting data in states that didn't expand Medicaid, and found that the rural counties that lack health-care coverage overwhelmingly voted for Trump in 2016. Trump lost Virginia, but the counties that he did win in the swing state are the ones with the highest uninsurance rates, according to voter data. In rural Lee County, 36 percent of low-income adults are uninsured. Trump won there with 80 percent of the vote to Hillary Clinton's 17 percent. Whereas in Fairfax County, 15 percent earning under 138 percent of the poverty level are uninsured. Trump lost there 29 percent to Clinton's 65 percent. In eight non-expansion states —South Dakota, Georgia, Oklahoma, Florida, Texas, Alabama, Missouri, and Mississippi — more than one-third of low-income adults living in rural areas and small towns are uninsured, the researchers found. Trump won all eight counties, the data shows. Florida, the only battleground state on that list, is another one with deep disparities between its uninsured populations based on geography. In rural Jackson County, 42 percent of low-income adults are uninsured, the study's authors found. Trump beat Clinton in that county 67 percent to 30 percent. In Palm Beach County, where the low-income uninsured rate is 20 percent, Clinton beat Trump 56 percent to 41 percent. Notably, in states that did expand Medicaid, those geographic disparities are almost nonexistent. The problem is rural America tends to be poorer and sicker than other parts of the country. Compared to people living in metro areas, low-income Americans in rural areas have less access to medical and social services, and are more likely to die from heart disease, cancer, chronic respiratory disease, stroke and unintentional injuries, according to a 2017 study by the Centers for Disease Control and Prevention. There are several reasons cited in the Georgetown/University of North Carolina report that Medicaid expansion could be part of the solution: It's difficult to get insurance company to offer plans in sparsely populated rural towns; areas with more insured residents draw clinics and providers to operate there; and rural hospitals are less likely to close in places where they can depend on Medicaid payments. The Medicaid program itself is at a bit of a crossroads right now. The Trump administration is encouraging states to add work requirements to its programs, which, critics say, adds a burdensome level of bureaucracy that many low-income people will struggle to navigate. Some could easily lose insurance not because they don't meet the qualifications for it, but because they failed to file the correct documents or weren't aware they had to. Yet, such requirements have made expanding Medicaid more palatable for hesitant states. For instance, Virginia will expand its program next year but has also submitted a waiver requiring so-called able bodied adults to work or take up some other kind of community engagement. At the same time, in the reddest of red states, Idaho, Utah and Nebraska, voters will get to decide this fall through a ballot initiative whether to expand Medicaid. And, according to some early polling, they may just approve it. AHH: A new kind of therapy is helping people with spinal cord injuries stand, take steps and walk again, according to new research published in the New England Journal of Medicine. OOF: In the months since the president vowed pharmaceutical companies would make a “massive” voluntary drug price cut, no such change has occurred. During the two months since the May announcement, the Associated Press found there were more than 16 price increases for every decrease, based on a new analysis of 26,176 list price changes for brand name drugs. The analysis, which looked at changes from January 1 to July 31 in the years 2015 through 2018, also found that over those first seven months of this year, there were 96 price hikes for every price cut. “There were fewer price increases this year from January through July than in comparable prior-year periods, but companies still hiked prices far more often than they cut them,” the AP’s Linda A. Johnson and Nicky Forster report. “This year through the end of July, there were 4,412 brand-name drug price increases and 46 price cuts, a ratio of 96-to-1… The AP also asked 24 large drug companies this summer if they planned to cut drug prices. None said they did, though some didn’t answer. "Drugmakers typically say they need to keep raising prices of existing drugs to pay for costly, lengthy research to develop new medicines, though industry critics dispute that," Linda and Nicky add. OUCH: Imagine facing a five-figure ambulance bill after going to the emergency room – all because you didn’t call ahead to get an insurance claim approved. In a column for the Los Angeles Times, David Lazarus describes such a scenario a 64-year-old woman faced when she was taken via air ambulance from Mammoth Lakes to a hospital for a severe kidney infection. Tom Wolfe, Good Sam’s chief financial officer, explained to David in a call that TravelAssist “isn’t a reimbursement plan.“ “In other words, the coverage is based on TravelAssist making all the arrangements on a Good Sam member’s behalf, rather than paying the member back for any expenses incurred,” David writes. Meanwhile, Mutchler is appealing the decision, and David writes there is a possibility her insurance with Blue Cross may cover both the medical costs and air transportation. During the Fox News interview, Kavanaugh explained that he was sexually inexperienced as a teenager, our Post colleague Robert Barnes reports. “So you’re saying through all these years that are in question that you were a virgin?” MacCallum asked. “That’s correct,” he answered, adding that was the case for “many years after.” Here’s an annotated version of the interview transcript, via our Post colleague Aaron Blake. Over the weekend, the New Yorker Magazine reported an allegation by a classmate of Kavanaugh’s at Yale University, Deborah Ramirez, who said Kavanaugh exposed himself at a party when they were both first-year students. Kavanaugh is set to appear before the Senate Judiciary Committee on Thursday along with Christine Blasey Ford, the California professor who alleges Kavanaugh sexually assaulted her while both were teenagers. In a letter to Committee Chairman Charles E. Grassley (R-Iowa), Kavanaugh insisted he will not withdraw from the nomination process. Our Post colleague Deanna Paul explains why the latest allegation against Kavanaugh may be on precarious legal ground, according to former prosecutors. — Trump said he plans to leave the “controversy” of whether to overturn the landmark abortion decision Roe v. Wade up to the courts. “Yeah, I don’t want to talk about it now, because that’s a controversy that I’m going to leave to the courts,” Trump said during a radio interview with host Geraldo Rivera that broadcast Monday when asked if he believes the ruling should be overturned. The interview was taped on Sunday. As a presidential candidate, Trump signaled he would appoint nominees to the Supreme Court who would reverse the decision, our Post colleague John Wagner notes. “Trump’s comments come as the nomination of his second Supreme Court pick, Judge Brett M. Kavanaugh, is pending in the Senate. Many Democrats have opposed Kavanaugh’s nomination in part because of concerns he would help roll back abortion rights,” he adds. — Sen. Patty Murray (D-Wash.) told the Washington Examiner she lawmakers to soon strike a deal on the opioid package, Robert King reports. "I think we will have this pretty well resolved in the next 12 hours," she said about the opioid bill late on Monday. “Murray told the Washington Examiner that she believes that the final Senate-House compromise bill will be ready for the House to vote on this week, before it recesses until the November elections,” Robert writes. He noted “one major outstanding consideration” is negotiations over a provision the pharmaceutical industry has been pushing for that would allow them to avoid being on the hook for more of drug costs covered for seniors under Medicare. — Republican Josh Hawley, the Missouri attorney general running for the Senate against incumbent Sen. Claire McCaskill (D-Mo.) is running a new TV ad talking about his son's preexisting condition. But Hawley also signed on to a lawsuit brought by 20 red states seeking to rule the ACA unconstitutional. If the law went down, so too would the part that requires insurers to cover people regardless of their health history. Democrats have accused Republicans of wanting to strip that protection away. McCaskill, who is a cancer survivor, has made her reelection campaign all about saving coverage protections for people with preexisting health issues. She's featured constituents in daily videos discussing their own conditions and fears over losing coverage. Most Republicans have said their disdain for the ACA never meant they wanted to throw out preexisting condition protections. This ad from Hawley is tackling the issue head on in a way few GOP candidates have this campaign cycle. — The Department of Health and Human Services has canceled a contract with Advanced Bioscience Resources, a fetal tissue research facility, because it did not have “appropriate protections” for the procurement of the tissue, Robert reports for the Washington Examiner. The move follows a call from dozens of antiabortion rights groups who called on HHS to stop working with the facility, he adds. 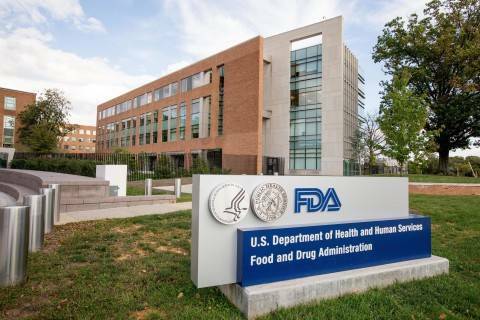 The Food and Drug Administration signed a contract in June with the facility, which provided fetal tissue for the purpose of researching the development of mice with human immune systems. HHS said in a statement that it is “now conducting an audit of all acquisitions involving human fetal tissue to ensure conformity with procurement and human fetal tissue research laws and regulations” and has "initiated a comprehensive review of all research involving fetal tissue to ensure consistency with statutes and regulations governing such research." — In her first public appearance as CIA director, Gina Haspel pledged the agency will address the shipment of​​ opioids coming into the United States. 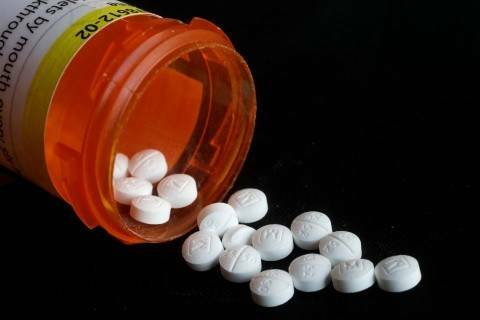 "No foreign challenge has had a more direct impact on American families and communities…than the flow of opioids and other drugs into our country," Haspel said during an event at the University of Louisville in Kentucky, NBC News’s Ken Dilanian reports. "That's why the CIA is going to invest more heavily in our counter-narcotics effort abroad to combat this terrible threat, one that has killed far more Americans than any terrorist ever has." “Haspel's mention of drugs, in a state whose residents have experienced a sharp uptick in drug overdoses in recent years, was an unusual note in a careful speech that emphasized general themes articulated by many of her predecessors,” Ken writes. — Electric scooter-riders are pouring into emergency rooms across the country. At one hospital in Salt Lake City, where the popular dockless electric scooters have filled the streets since June, there has been a documented 161 percent spike in the number of emergency department visits involving scooters compared with similar injuries in the same three-month period last year, our Post colleague Peter Holley reports. Almost half of the reported injuries included fractures, dislocations of ankles, wrists, elbows and shoulders, as well as sprains and lacerations, Peter writes. There were also cases of head injuries, and some told doctors they were intoxicated and not wearing a helmet when the injury occurred. Just last week, a 24-year-old man died from blunt force injuries to the head after he fell off a Lime scooter on his way home from work in Dallas. The lone debate between Maryland Gov. 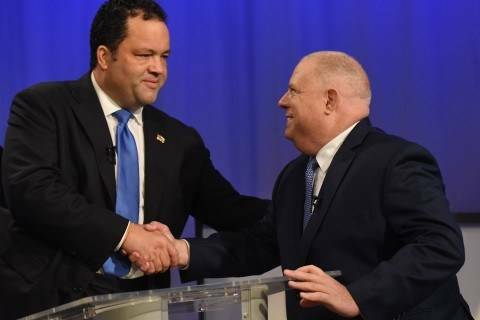 Larry Hogan (R) and Ben Jealous (D) clearly displayed their differences. Drug companies are eyeing a popular opioid bill to roll back discounts for Medicare beneficiaries, but opposition has quickly mobilized. 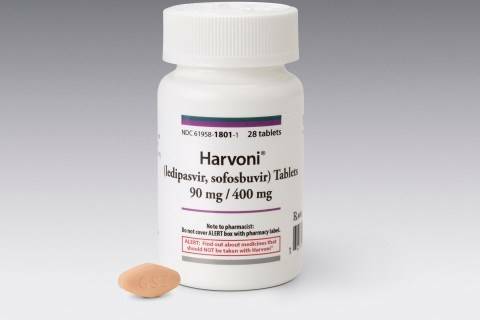 The drugmaker intends to slash the list price of its hepatitis C treatments as it responds to competitive pricing pressures and shifts in the U.S. payment system for pharmaceuticals. 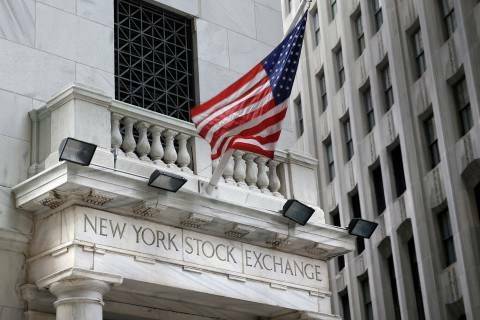 Health-care stocks are helping push major U.S. indexes to new highs as money managers have embraced the sector after technology stocks stumbled in September. Sarepta’s early-stage clinical trial for a gene therapy for Duchenne muscular dystrophy is back on schedule, the company announced. 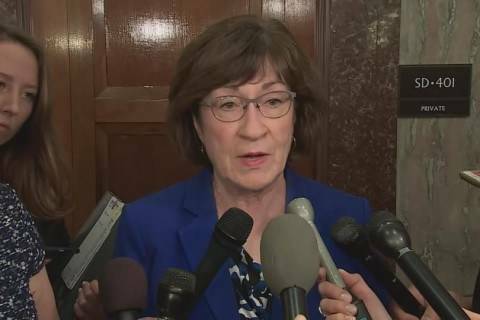 Sen. Susan Collins, R-Maine, a pivotal vote to confirm Judge Brett Kavanaugh to the Supreme Court, said she doesn't believe that he would vote to overturn Roe v. Wade, the 1973 decision legalizing abortion. The Senate Committee on Health, Education, Labor and Pensions: Subcommittee on Primary Health and Retirement Security hosts hearing to examine health care in rural America. The Senate HELP Committee hosts a hearing on reducing health -costs Thursday. The House Energy and Commerce Committee: Subcommittee on Health hosts a hearing on reducing maternal mortality in the U.S. Thursday. Sen. Rob Portman (R-Ohio) speaks at the American Enterprise Institute to discuss combating the international shipment of opioids Thursday.